Have you noticed a change in children being ready to start school? With the decrease in outdoor play and the increase in screen time, many children are just not physically ready to participate in school. The Get Fit for School webinar entitled “Popcorn and Animals Make My Muscles Strong!” can help educate parents, teachers, and therapists on how we can effectively prepare children physically for success at school! The instructor, Ingrid C. King MScOT, BOT, developed this webinar to teach you how to use a play-based approach to help children get fit for school. includes over 50 creative, therapeutic play-based activities including play ideas with friends. developmental approach with a focus on core, upper body, wrist and hand strength using exercise play, vertical play, and finger play activities. has interactive components e.g. ‘try this now’, ‘watch this video and do the actions too’ etc. the information to access the webinar and the handouts are delivered electronically immediately following payment. 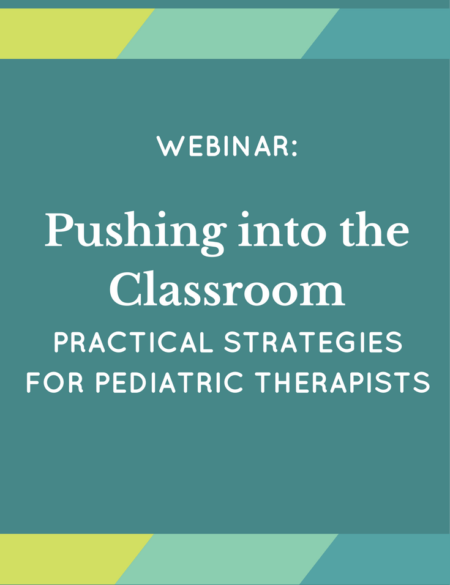 the 75-minute webinar can be viewed on demand. also includes a 14 page PDF handout with active links to over 20 helpful internet sites. complete a short form at the end of the webinar to receive a participation certificate. 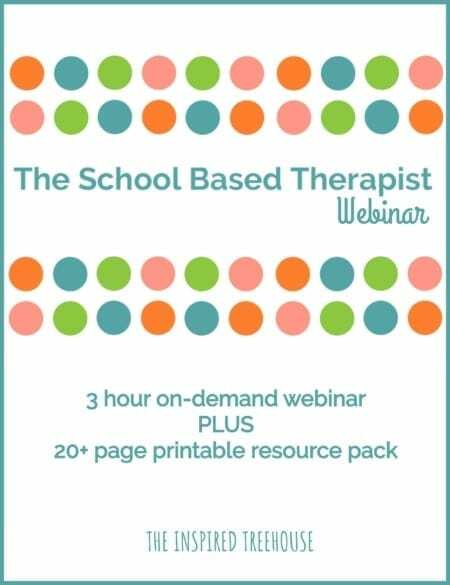 Who is the Get Fit for School webinar suitable for? 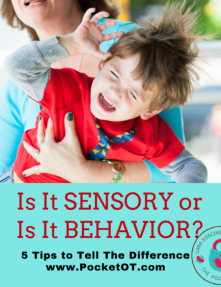 ideal for occupational therapists needing inclusion and “push-in therapy” ideas to include all children in preschool, and kindergarten contexts (4 to 6 years). suitable for early childhood educators looking for a developmental approach. helpful for parents wanting to prepare their children for school and parents of children who need support to develop their motor skills. 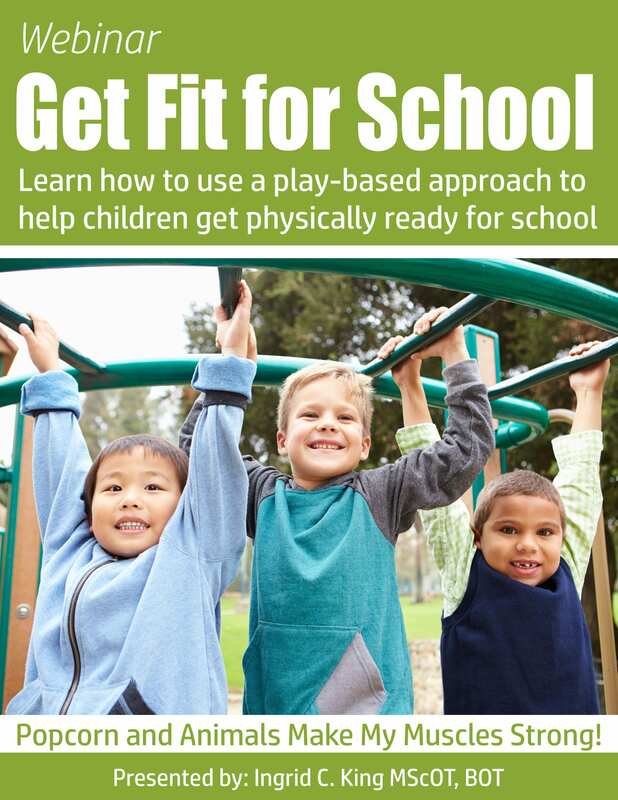 Therapists, teachers, and parents can learn to help young children with the Get Fit for School webinar because in just 75 minutes it will teach you how to prepare children physically for success at school through a play-based approach!